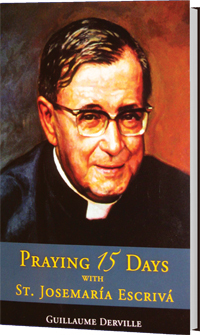 This collection of meditations brings the reader inside the mind of St. Josemaria Escriva as he prays. It draws from St. Josemaria’s expansive body of work and author Fr. Guillaume Derville's personal experiences as a friend and follower of St. Josemaria. This collection weaves a fascinating portrayal of how St. Josemaria entered into the Gospels to develop personal relationships with Jesus, Mary, and others. "It is exciting that these meditations will now be available in English. They bring alive the explosive and transforming Love contained in the Gospels."